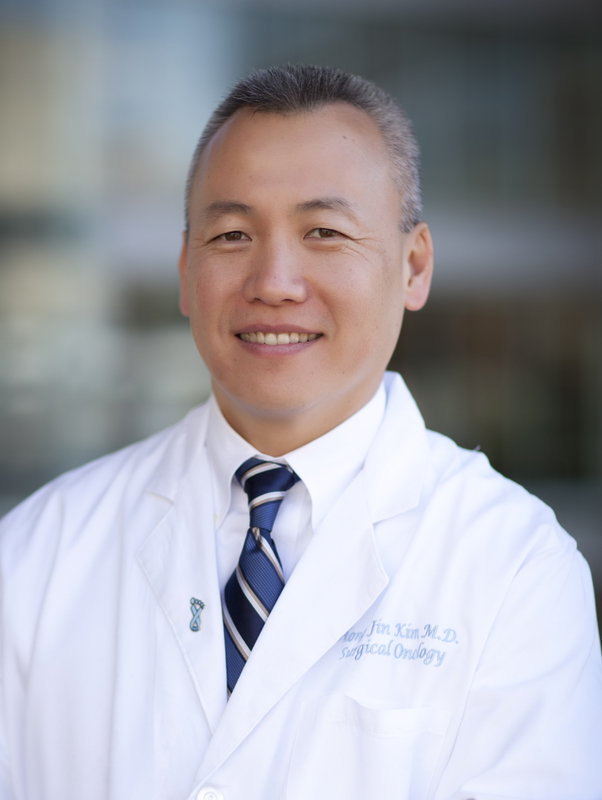 Dr. Kim’s clinical interests include surgical oncology, GI malignancies, pancreatic cancer, sarcomas, hepatobiliary malignancies, and surgical management of endocrine diseases. His research interests include NF-κB in chemoresistance of GI malignancies/Pancreatic cancer . Current Research Interests/ Cancer Relatedness: The role of NF-κB mediated targets in the chemoresistance of gastrointestinal malignancies. Our laboratory is interested in delineating cellular signaling mechanisms involved in chemoresistance; to identifying potential molecular targets in novel therapeutic strategies. Gastrointestinal (GI) malignancies remain largely resistant to standard chemotherapeutic regimens. Inducible tumor chemoresistance is attributed to the ability of neoplastic cells to overcome apoptosis, or programmed cell death. Implicated in the process is the activation of the transcription factor NF-kB in response to chemotherapy or irradiation, diminishing the genotoxic effects of conventional anticancer therapies. Previous studies from our laboratory demonstrated that inhibition of NF-kB activation, by proteasome inhibition, led to enhanced tumoricidal response to chemotherapy. The cellular mechanisms involved in chemotherapy-induced apoptosis are not clearly understood, and NF-kB-regulated genes involved in the survival of neoplastic cells in response to chemotherapy have not been established. Several GI malignancies, in particular pancreatic cancers, have no proven effective adjuvant therapy; identification of novel strategies aimed at NF-kB mediated chemoresistance serves as a new approach in the treatment of these cancers. Characterization of the role of NF-kB in chemoresistance may potentially contribute to new combinational treatments. Whether inhibition of NF-kB activation enhances the sensitivity to tumoricidal therapies without increasing toxicity has marked clinical significance, and may lead to novel strategies in overcoming chemotherapy resistance seen in advanced GI cancers.